Pursuant to the projected estimates, local budgets will increase up to UAH 230 billion as a result of 2018, informed Hennadii Zubko, Vice Prime Minister – Minister of Regional Development, Construction, Housing and Communal Services, during a teleconference with the oblasts on the implementation of the decentralisation reform and priority projects in 2018. He also said that during January-March 2018, the general fund of local budgets received UAH 51.6 billion. Surplus in revenues to the corresponding period of last year made up UAH 10 billion. At the same time, the growth rate of revenues in 13 oblasts is above the average in Ukraine. The highest rates are observed in the Poltava, Sumy, and Volyn Oblasts. 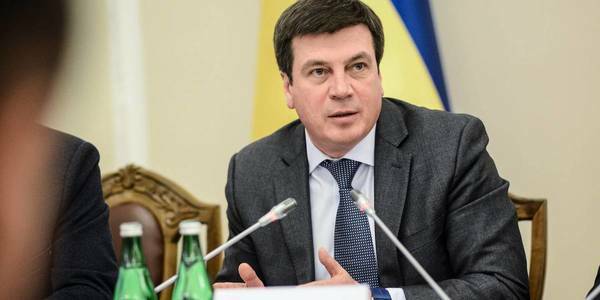 single tax – a surplus of 29.4% or UAH 1.6 billion. In 12 out of 25 oblasts the growth rate is above the average in Ukraine. "These are not just the funds that local budgets receive as a result of financial decentralisation, it is an opportunity to implement projects on the ground aimed at improving the quality of services in education, healthcare, administrative services, etc. We have identified 5 priority projects for this year, and developed recommendations for their implementation: establishment of modern ASCs, New Educational Space, Citizens' Safety Centres, modern outpatient clinics, as well as one more direction – children's family homes. The heads of oblast state administrations and local self-government bodies have the task to prepare projects and implement them," noted Hennadii Zubko. The teleconference was held with the participation of the heads of oblast state administrations, specialised deputy heads on decentralisation, heads of regional LGDCs.